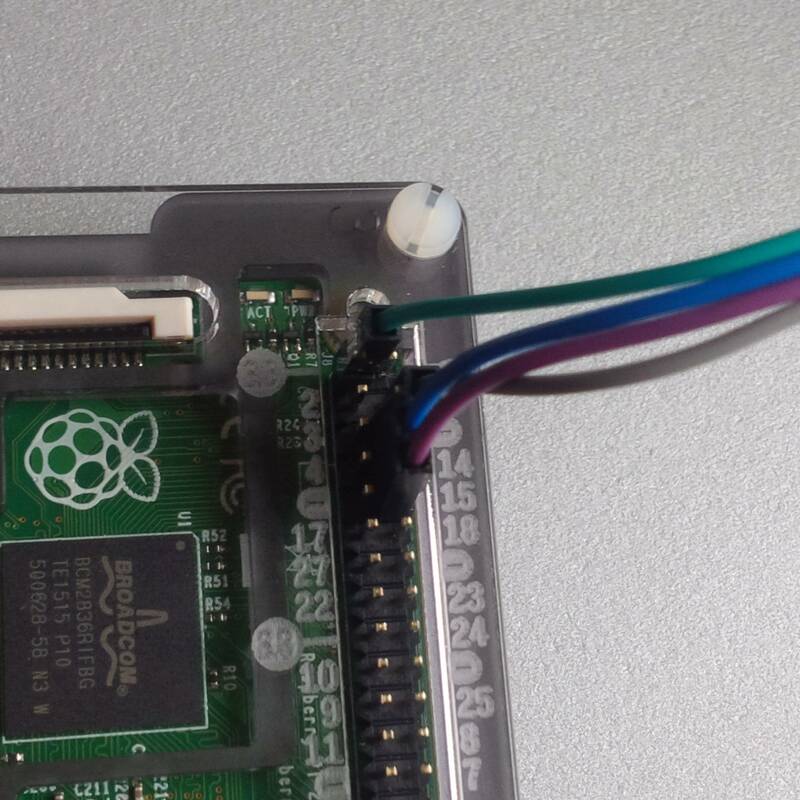 I am trying to make the GPIO serial port of a Raspberry Pi 2 with Raspbian Wheezy work with an elevator (to control its movement and check status). But before I even plug it into the elevator, I am testing whether I am sending signals correctly from it. As I was having difficulty, I thought I would first test to see if at least my hardware setup is correct, so I reinstalled Raspbian so that the serial console would be re-enabled. I figure that if I can at least get the serial console up and running, I am not wrong on hardware. I have a too-low reputation to post the link to the board vendor or the instructions I'm following. I'm plugging it into a PC serial port directly (I found that using a 3m cable made it return garbage to minicom, so is the power too low or something?). I'm using minicom over /dev/ttyS0 with 115200 8N1 settings, no hardware or software flow control. When I turn on the Pi by plugging it in with minicom running, I get the 'T1' LED flashing on the serial adapter card, presumably in time with the boot sequence. By itself, nothing appears on the minicom screen. During this bootup if I hit a key on minicom, the R3 light turns on, and stays on permanently. However, I see the remaining bootup sequence, and it returns to a login prompt. But I cannot type anything to log in. It responds to no keyboard input at all. I have a feeling it has something to do with the R3 light being on permanently. I am doing something right, because a single keyboard tap works to force the Pi to send or the PC to receive the bootup stuff. What could I possibly be doing wrong here? Is it a minicom setting or am I using the MAX3232 converter wrong? Unless you have an oddly labelled board you should be connecting board TX to Pi RX and board RX to Pi Tx. 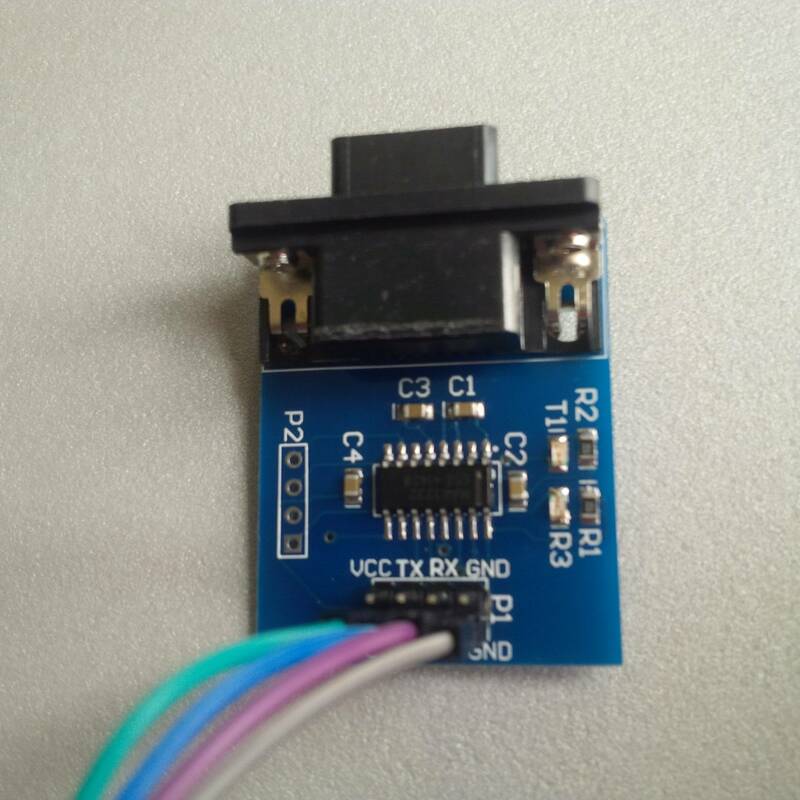 Do not connect the VCC line unless you are powering the Pi from the serial board (unlikely). The two 3V3 power supplys (Pi and the board) will be fighting. Not the answer you're looking for? Browse other questions tagged serial serial-console or ask your own question. Can the raspberry pi be used as a serial converter to debug other boards?